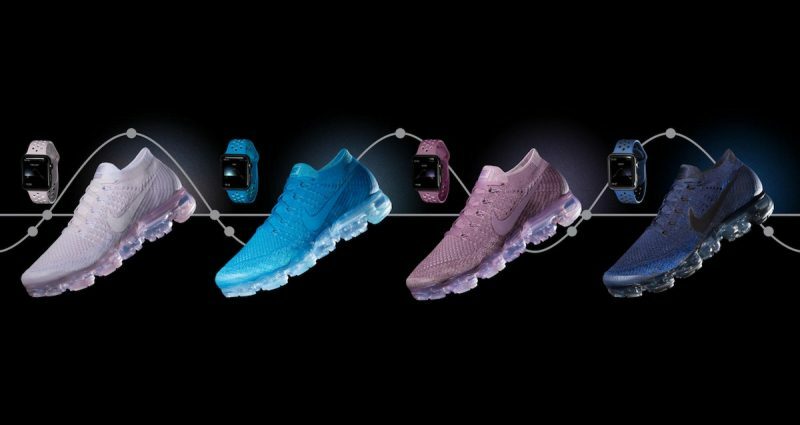 Last week, Nike announced plans to release four new Nike+ Apple Watch bands in colors that match its line of Nike Air VaporMax Flyknit "Day to Night" shoes, and those watch bands are available for purchase as of today. The new bands are available in four shades of pink and blue "inspired by the shade of the sky, from dawn to dusk," and each one matches a Flyknit shoe. Nike has offered Nike+ bands since the Nike+ Apple Watch debuted in 2016, but this is the first time the company has made an effort to introduce bands that match its shoes. Nike's new Apple Watch bands are made of the same flexible fluoroelastomer material that's used for Apple's line of Sport bands, but Nike bands add perforations for ventilation purposes. The bands are available from the Nike website for $49 each, and starting today, select Nike stores will also begin carrying them. 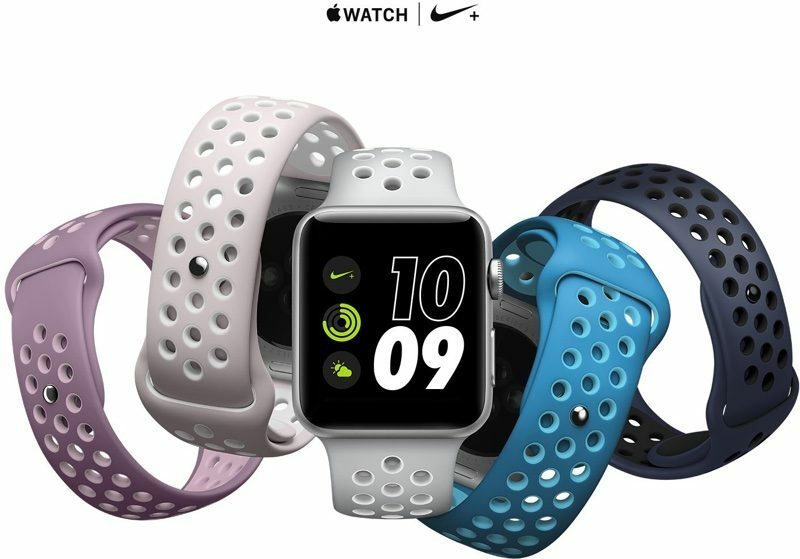 Apple plans to start offering the new Nike+ bands in stores, from authorized retailers, and in specialty department stores in "early June." Nike's matching Flyknit running shoes are also available starting today for $190. Update: Many of the new Nike+ bands and Flyknit shoes have already sold out. Seriously bitching about watch bands? You people need to reevaluate what you think life owes you. BTW - these shoes are ridiculously overpriced. In most of my run groups you'll hardly see nikes as they were the bose of running shoes. JUST WHAT I ALWAYS never WANTED!!! Thanks Apple..
BTW go make me a MacPro tower, JESUS, enough is enough already. You want Nike to make you a Mac Pro tower? Complaining about people's opinions on an internet forum just because it's different from your own opinion. I think you're the one who needs to reevaluate what you think life owes you. Cue the usual complaints about extra options for personalisation being provided, from the same people who complain when there aren't enough options for personalisation provided. More watch bands!!!! Finally, this is amazingly awesome and practically magic. I don't even have to watch the keynote anymore. This is more than I could have dreamed about for 2017. World transforming innovation like this is why Apple is going to be a 10 Trillion dollar company by 2020!!. You want a Nike MacPro tower. Got it. I'm just glad they're not wasting any time on bands at WWDC.